From pioneering work in plant biology to tracking the evolution of the Universe, and helping us understand why galaxies change over cosmic time – we’re giving a big shout out to three CSIRO researchers who have contributed game-changing science and have rounded out the Australia Day Honours list this year. Liz is internationally known as a pioneer in plant molecular biology. Over the course of her career she’s investigated plant development and genomics, from how plants flower to how they regulate their genes – for instance, looking at how they have evolved mechanisms to cope with environmental stresses such as floods. 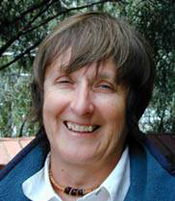 Liz joined CSIRO in the Division of Plant Industry in 1972 as a Research Scientist, rising to the position of Chief Research Scientist in 1991 and CSIRO Fellow in 2001. Now an Honorary Fellow with CSIRO, Liz has been recognised with the highest honour – a Companion of the Order (AC) – for her eminent work in the areas of genomics and plant development. Our Australia Telescope National Facility (ATNF) has done its fair share of iconic radio astronomy science: its telescopes have helped track spacecraft for 50 years (including receiving the signal from the 1969 Moon landing), shown us galaxies in ways we’ve never seen before, and are still finding mysterious radio bursts from space. 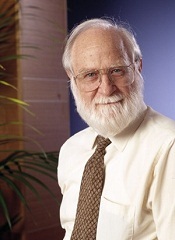 Ron was the ATNF’s first director, from 1988 to 2003, and put it on track to be the world-class observatory it is today. He gave the organisation an outward focus and led it to develop some of the field’s leading technology. He was also president of the International Astronomical Union and helped kickstart the international Square Kilometre Array telescope. Ron has been recognised as an Officer (AO) in the General Division for distinguished service to science as a radio astronomer, to scientific education, and to international astronomical organisations. In the grand scheme of things, Earth is a tiny blue dot in the cosmos, inhabiting a galaxy of 10–100 billion suns. Our new ATNF Chief Scientist Elaine Sadler has spent her career putting our planet in perspective and helping to answer the big questions, such as why galaxies evolve over time, looking at complex issues such as black holes and gravitational waves. Next to that, Elaine has supported many initiatives to improve gender equity in her field and its capacity to retain and attract women – from mentoring female scientists to crafting policies and plans to tackle gender inequity. 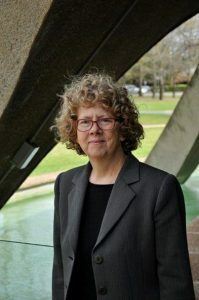 Elaine has been made an Officer (AO) of the Order of Australia for distinguished service to science as an astrophysicist in the field of galaxy evolution, and to gender equality. Congratulations hardworking scientists. Thank you for all the hard work you do for us all.